Yes, somebody finally went to a very obvious place — during this week’s “live broadcast,” Viktor Baranets called Vladimir Putin on his failure to solve the military housing problem. You may recall this recent post lamented Putin’s “free pass” on the unfulfilled promise of apartments for servicemen. After a little banter, Putin got to his answer. Putin said his predecessor didn’t deal with the military housing problem, and, starting with those dismissed in the 1990s, the line for apartments just grew. His administration counted 70,000 ex-servicemen in need of housing, and handed out 111,000 apartments in 2008-2010. But, said Putin, the Defense Ministry undercounted, and there were actually 150,000 men in the housing queue. According to the Prime Minister, even though funds were available, the construction industry just didn’t have the capacity to build faster. In 2008, the dismissal of excess officers from the Armed Forces and the global financial crisis made housing military men more difficult. 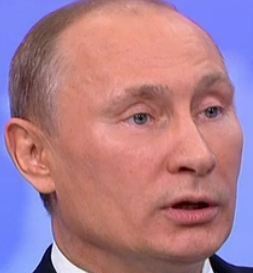 But Putin concluded he still thinks the permanent apartment problem will be resolved by the end of 2012, and service apartment problem a year later. He noted, however, that the line may get longer since there’s an issue of servicemen still waiting in municipal housing queues. Then Putin turned to Baranets’ point about ministers. Putin said he didn’t want to make them scapegoats since he is ultimately responsible, and cadre reshuffles mean lost months of work. He said he prefers to straighten ministers out so they avoid mistakes. Putin ended his answer by saying a time for renewing the government line-up is coming, and this will happen. KP’s video of the Q and A is here. TV Zvezda’s is on Mil.ru. So Putin’s defense against Baranets’ accusations of failure on the military housing problem boils down to claiming it’s a hard issue. If able to follow up, Baranets might have asked why the Defense Ministry didn’t accurately figure the number of apartments needed or investigate the chances of getting them from Russia’s housing market. Ultimately, this little repartee between once-and-future president and military correspondent is a small sign of how fear of Vladimir Putin has diminished. It’s hard to imagine the same exchange five years ago. Perhaps even five months ago. Wednesday First Deputy Prime Minister Igor Shuvalov criticized a Primorskiy Kray deputy governor for the low quality of new housing for military men in Vladivostok’s Snegovaya Pad microrayon. Shuvalov said the housing is cold, damp, and moldy. According to RIA Novosti, Shuvalov heard complaints from a worker at Dalpribor, and rerouted his visit to inspect his building. 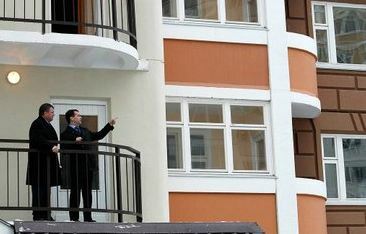 The press agency added that the walls of the apartment block’s service floor are cracked. Shuvalov said the worker’s complaints are fully justified. The kray’s deputy governor promised, of course, to sort out the situation. But Shuvalov concluded the quality of completed construction needs a serious look, and added it’s impermissible that residents of new housing should have to make repairs. Unusually frank comments from an unexpected source. But it’s interesting Shuvalov didn’t hear other serious complaints about “Snegpa” . . . the files are full of 34 press articles about the microrayon’s problems in the past three years, though there hasn’t been time to write on them. Most articles describe how this military housing was erected on Defense Ministry property, a former naval arms depot which exploded in 1992, without properly clearing and cleaning up old munitions and hazardous substances. Newsru.com pointed this out. Snegpa, it says, is a densely populated area of 50,000 retired and active servicemen and family members that has only one daycare (детсад) facility and one secondary school. 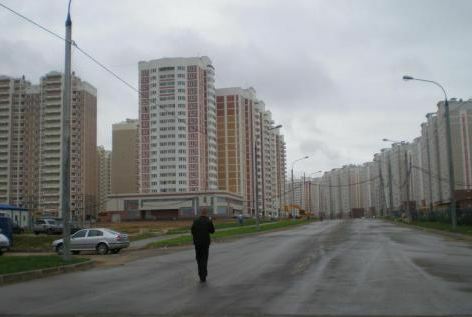 NVO (Sergey Konovalov) has written that Snegpa is one place where servicemen are refusing proferred apartments. NVO doesn’t think anyone will be held responsible for the military housing mess. Interesting that Shuvalov was willing to blame a regional official, but not fellow Team Putin member Defense Minister Serdyukov and his deputies. 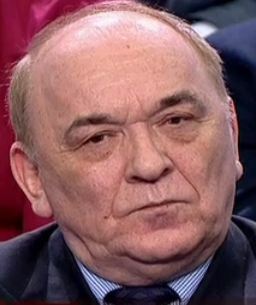 NVO also cited General Staff Chief Makarov at the OP on housing numbers. He said, by the end of 2011, the military will have obtained 134,700 apartments for the military since 2009, but there were still 63,800 in line on October 1. Colonel Sergey Zavarzin, writing for KP, counted a Defense Ministry claim of 175,600 obtained, or due to be, between 2009 and the end of 2012. That number would be enough to close out the permanent apartment problem, if the military’s other numbers are accurate. And only if ex-military men are actually willing to move their families into them. According to ITAR-TASS, President Medvedev and Prime Minister Putin addressed military apartments at last weekend’s United Russia conclave. The former reiterated his refusal to put servicemen out of the army without presenting them with permanent housing, if they are entitled to it (an easy call since it remains illegal to do so, and the military can also just warehouse them outside the org-shtadt). Pardon if these words have appeared previously, but the Russian approach toward military housing has been and is still a Soviet one — numerical targets, “storming,” poor quality, no life cycle or support planning, etc. A Defense Ministry source tells Interfaks nearly 800 former officers and generals who served in the military’s central command and control organs are suing the department over its failure to allocate them housing in Moscow. The news agency’s source says these men have a right to apartments in Moscow and are refusing the Defense Ministry’s offer of housing in the capital’s suburbs. He says new buildings in Moscow Oblast lack infrastructure, schools, and medical services, and it’s difficult to find work. In particular, he notes more than 21,000 apartments are being finished in the close-in suburbs of Podolsk and Balashikha. But many remain unoccupied. The military department decided to build housing there in 2008 because the cost per square meter was 35,000 rubles — less than half the prevailing cost in Moscow. The agency’s interlocutor says, in Podolsk, the military is building an entire microrayon with more than 14,000 apartments, and Balashikha will have more than 7,000. Interfaks added that Deputy Defense Minister Tatyana Shevtsova, who holds the housing portfolio, acknowledged in September that there are 8,000 officers awaiting housing in Moscow, and indicated apartment blocks might be erected on Defense Ministry property in the city. At the time, she also suggested that many of those who wanted apartments sooner were accepting ones in the nearby suburbs. Exactly a year ago, Defense Minister Serdyukov said the military could not afford to, and would not provide servicemen permanent apartments in Moscow, according to RIA Novosti. Moskovskiy komsomolets at the time noted that the Defense Minister’s order clearly contradicted the Law “On the Status of Servicemen.” As this NVO editorial indicates, Shevtsova’s September statements on Moscow housing came in the context of the flap over 160 generals and colonels who retired, probably in the hope of privatizing a service apartment, rather than obey orders to rotate to duties outside the capital. Komsomolskaya pravda’s Viktor Baranets got to prompt Defense Minister Anatoliy Serdyukov for a few statements on various topics in today’s paper. It doesn’t seem like he really got to ask questions. Serdyukov claims all but about 3% of GOZ-2011 has been placed, and 100% advances to the defense sector for 2012 will make for a smooth year of orders and production. He “dodges the bullet” on not ordering Kalashnikovs. He returns to the possibility of giving serving officers and contractees money to rent their own apartments, but this never worked well in the past. Serdyukov says the first phase of military reform involved changing the Armed Forces’ org-shtat (TO&E) structure. Now, he says, the second phase has begun, and it’s connected with rearming the troops. Serdyukov says the Defense Ministry is still working on MPs, their regs, missions, training, structure, and size. They’ll be responsible for discipline and order in garrisons and investigations. The Defense Minister opines that Russia’s Israeli UAVs aren’t bad, but they are looking at Italian ones while domestic development continues. Serdyukov confirmed that two new factories for producing the S-400 system will be built. They are designed, and, he hopes, will begin production by 2015. On tanks, the Defense Minister says they’ve taken the position that they can modernize T-72s to the level of a T-90 or better for 38 million rubles. He believes it’s cost effective. On the AK-74, Serdyukov claims they aren’t rejecting it, but they have depots overflowing with 17 million automatic rifles. He says they’ll be used or modernized, some will be sold, and others transferred to other power ministries. Serdyukov believes the draft military pay law now in the Duma will raise pensions by 50 or 60 percent. Active military pay will be as advertised: a lieutenant is supposed to get 50,000 or more rubles a month. Contract enlisted will start at 25,000 or more depending on their duties. 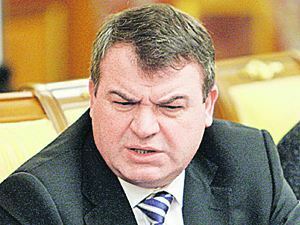 Serdyukov hopes the problem of housing for retired servicemen will be concluded in 2013. Then he can focus on service housing for contractees. He proposes paying contractees to rent apartments while the Defense Ministry acquires or builds service housing. “Apartment money” is a possibility but it has to be thought out. Sunday’s “Army Against Serdyukov” demonstration took place as planned on Pushkin Square. About 500 people attended, but organizers hoped for as many as 1,500. The participants were orderly, and the police presence was light and relaxed compared with more overtly political protests. Novyye izvestiya claimed there were similar meetings in Arkhangelsk, Murmansk, Severodvinsk, Stavropol, and Samara but the press reported only on protests in the latter city. Dmitriy Gudkov used the occasion to publicize the Public Council for the Defense of Legal Rights of Servicemen’s appeal to President Medvedev. 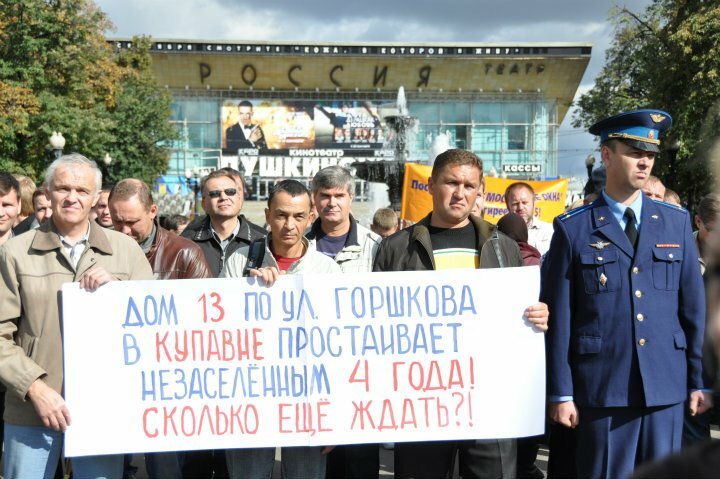 Besides demanding Defense Minister Serdyukov’s resignation, the appeal calls for an end to violations of servicemen’s housing rights and to the collapse of the military education system and defense industry. In remarks to Radio Svoboda, he said deceived servicemen may form their own, alternative list of those officers who are still waiting for their promised apartments. Hero of the Russian Federation, Cosmonaut Sergey Nefedov gave the introductory speech to the crowd on Pushkin Square. 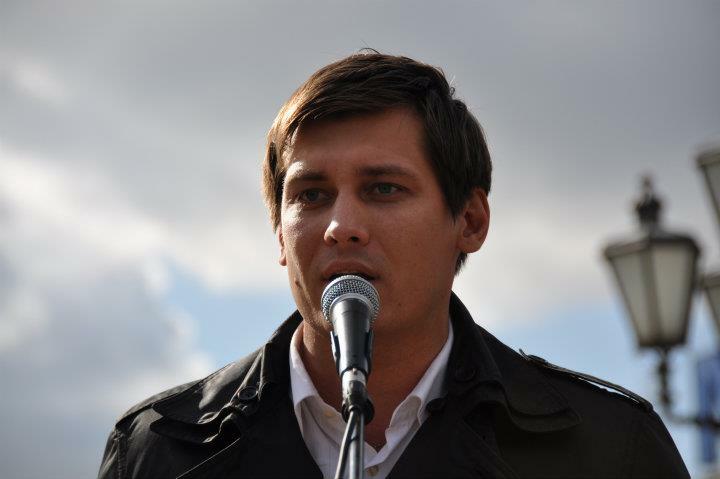 The Public Council is considering establishing a tent camp outside the Defense Ministry during the run-up to the elections, according to Gudkov. Gudkov said television covered Sunday’s meeting, and cameras and microphones were visible in photos, but there were no TV news reports on the event. There are, however, lots of videos and photos on Mikhail Pavlenko’s ЖЖ. So declared President Vladimir Putin in his Poslaniye on May 10, 2006. Putin had 5 years, 7 months, and 22 days to keep his original military housing promise. Even though he admits he failed to keep it, he actually still has 118 days remaining on the original deadline. He now has 1 year, 3 months, and 27 days to keep his new pledge. Now many will argue that, when it comes to apartments and housing for Russian military men, the Putin regime’s glass is half, two-thirds, or mostly full, or something like that. But it can also be argued that this was a pretty straightforward task, and that, with proper management, with adequate funding, and without inordinate corruption, it should have been accomplished pretty easily. It’s another question altogether whether Russian voters keep track of political pledges and broken promises . . . and whether it means anything when they point them out. In any event, the military is a small constituency no politician really worries about offending.